Living a consistent lifestyle can help seniors age gracefully and enhance their overall wellbeing. Without consistency, seniors may become upset, angry, and unwilling to accept care. Here are some of the reasons having a consistent in-home caregiver can be beneficial for aging adults. Inconsistency can cause older adults to doubt their abilities. With consistency, seniors have the confidence to tackle daily obstacles instead of fearing what tomorrow will bring. Your aging loved one can thrive in a consistent environment because it doesn’t constantly change, despite his or her changes in health. When choosing an in-home care agency, make sure the company has positive reviews, licensing, adequate staff, and the resources to meet your loved one’s care needs. When considering home care, Clarksville, TN, families should make sure their senior loved ones have the resources they need to maintain their independence and remain healthy. Trusted in-home care professionals can assist seniors with daily tasks like cooking, bathing, and exercise, and they can also encourage them to focus on healthier lifestyle habits. Growing older puts adults at a higher risk of developing various health issues, including heart disease, arthritis, diabetes, and certain types of cancer. If your loved one is trying to prevent or slow the progression of a disease, having a consistent caregiver can help. 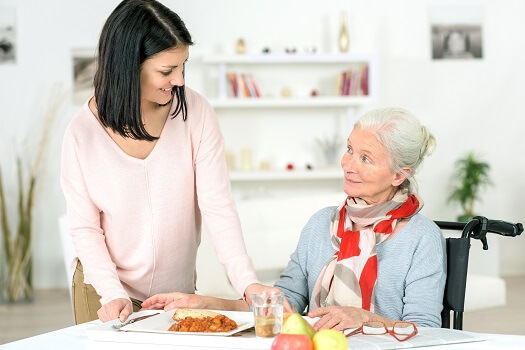 A caregiver will know when your loved needs to take medication, what types of foods can keep him or her calm and energized, and what triggers behavioral challenges. Having a consistent caregiver can increase your loved one’s response to care. Although almost all in-home caregivers are professionally trained to provide adequate care to older adults, you don’t want to disrupt your loved one’s routine by bringing in multiple caregivers. Many aging adults aren’t ready to let go of their independence and feel embarrassed to ask others to help with personal hygiene and other aspects of caregiving. Having a consistent in-home caregiver can help your loved one feel less stressed about accepting care. You don’t want your loved one to become comfortable with having a caregiver, then have to readjust to another person within a short time. Readjusting to different caregivers could be stressful and increase your loved one’s risk of depression, obesity, a stroke, or a heart attack. Living independently is important for seniors who want to maintain a high quality of life. For some, this simply means receiving help with tasks that have become more challenging to manage over time. Even when families have the best intentions, they may not have the time to provide the care their elderly loved ones need and deserve. If your loved one needs help for a few hours a day or a few days a week, reach out to Home Care Assistance, a trusted provider of respite care Clarksville seniors can depend on. Bringing caregiver after caregiver into your loved one’s life could have a negative effect on how he or she responds to daily activities. The inconsistency could also hinder his or her communication skills. The drain of having to adjust to multiple caregivers may make it difficult for your loved one to concentrate. However, having a consistent caregiver could lead to better brain function. When brain activity is consistent, your loved one will store and process information more efficiently, which could help him or her stave off dementia and Alzheimer’s, among other age-related health issues. Consistent professional caregivers can help adults prevent many health conditions as they age. If your senior loved one needs help managing an illness or assistance with daily tasks, make sure you choose a top-rated provider of senior care. Clarksville Home Care Assistance is here to help your loved one live a happier and healthier life in the golden years. From the mentally stimulating activities in our Cognitive Therapeutics Method to our friendly Care Managers who are available to answer your questions 24 hours a day, we offer a wide array of high-quality at-home care services. Call us at (931) 444-1950 to schedule a free, no-obligation consultation today.